Fall is sure one beautiful season in Michigan with the changing colors and the giant yellow tree that I have in my back yard. The plan was to rake the yard this afternoon, but my 10 month old puppy is experiencing Fall for the first time and has clearly taken a liking to it. In his mind, the yard has transformed into a giant playground with yellow tasty treats all over. He even got his 3 year old sister into it. 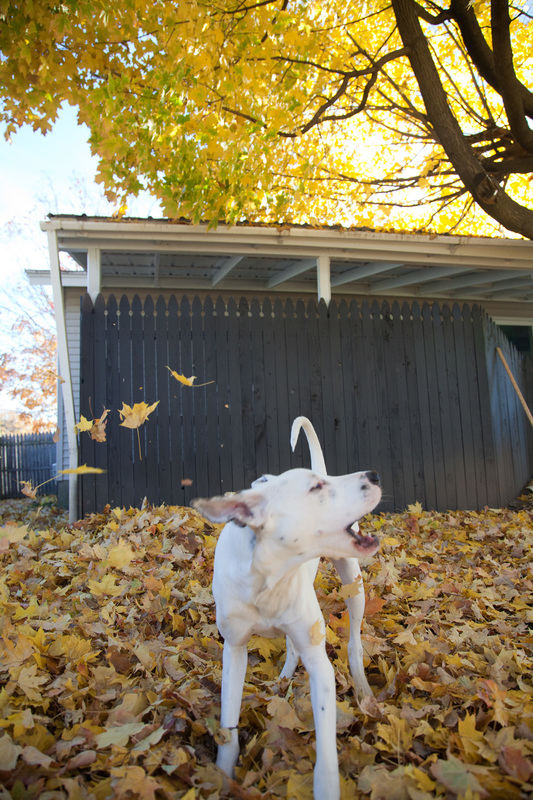 I'm not sure who had more fun, the dogs playing or me photographing them. Needless to say, the leaves are staying for a while....I'll rake later.